So the challenge has reached day 7 – black and white. I saw this manicure in a video on YouTube by MissJenFabulous (https://www.youtube.com/watch?v=YQn5p8sEPzk&list=UUT27sjmi4NEYRBIRf-fmgow) and I though it would be very cool to recreate! 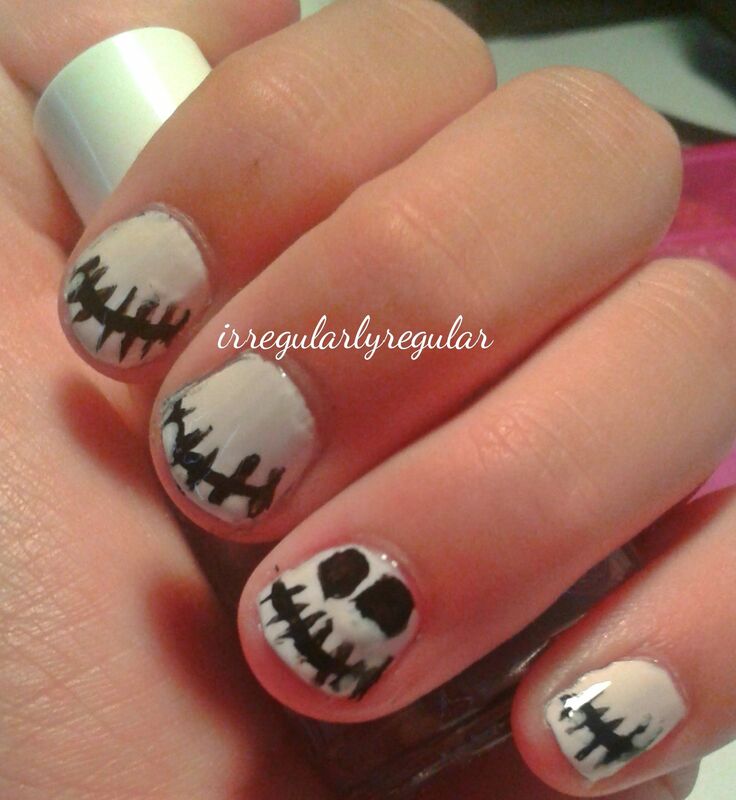 It is a black and white skeleton mani!